Shane Lowry and Paul Dunne were sympathetic but Cormac Sharvin refused to blame anyone but himself for a cruel two-shot penalty that may have cost him his card at the European Tour Qualifying School. The Ardglass talent (26) was reluctant to confirm after his round that he was penalised two shots at Lumine Golf Club for inadvertently teeing up "a couple of inches" ahead of the tee markers at the 170-yard, par-three-seventh. He was 15-under par for the tournament after six holes when his German playing partner, Alexander Knappe, pointed out his mistake. He went on to card a gutsy, two-under 69 but agonisingly finished one shot outside the 16-under qualifying mark and admitted yesterday that he didn't want to blame one hole, or Knappe, for his failure to get his card. "I teed off a couple of inches ahead of the tee markers causing a two-shot penalty and then I had to retake the shot and got it up and down for four," Sharvin revealed. "But as you know things then may have panned out differently so I'm not dwelling on it as a reason for me missing out. "Alexander was very apologetic and was very upset that he didn't call me off the shot. He said he noticed as I took my backswing. "Genuinely, it was not his fault. He could have maybe shouted in my backswing, which may have worked but he didn't. I take full responsibility for the mistake." Fellow professionals Dunne and Lowry, whose caddie Brian Martin is Sharvin's uncle, were sympathetic. Lowry said: "I was very sorry for Cormac Sharvin. He was very, very unlucky and he will get his day out here." 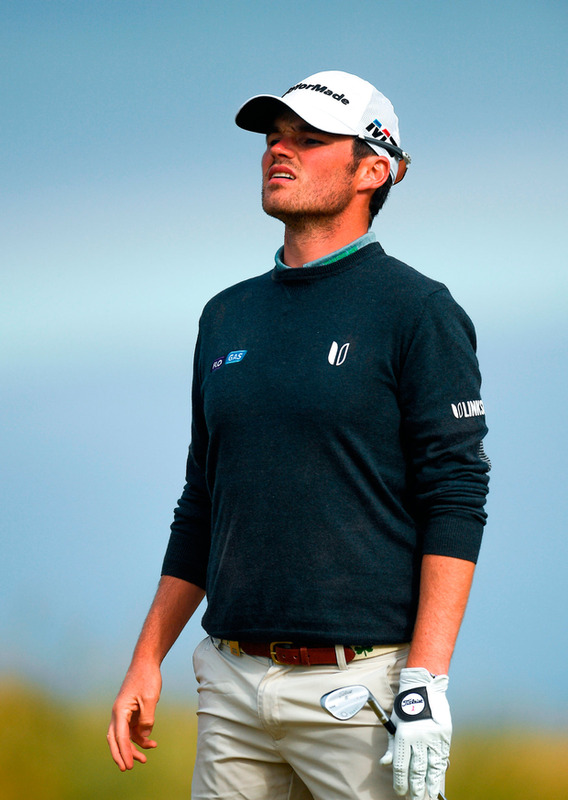 On hearing of the reason for Sharvin's two-shot penalty, former Walker Cup team-mate Dunne added: "Wow. That's hard to take. "I actually played with Cormac a couple of weeks ago. He's playing great. His game is good enough and hopefully it shows on the big stage soon." Both were delighted for Gavin Moynihan, who regained his card on the 16-under-par mark by holing a five-footer for par at the last. "He has always had the game," said Dunne, who won the unofficial GolfSixes with Moynihan in May and believes it's crucial his former Walker Cup team-mate to start the new season well. "Gavin struggled at the start last year and that kind of set the tone for the rest of the year," he said. "But if you can get off to a good start, get momentum, hopefully he can keep that going and have a few good finishes before Christmas and he will be off and rolling, I think." "Robin Dawson did all right too. So it's nice to see Gavin come out and hopefully have a better year than he had this year and get a few more lads out here as well."